Simon specialises in residential property work including site acquisitions, secured lending, development and property investment. Simon has over 37 year’s experience of the Kensington & Chelsea and Westminster property markets. 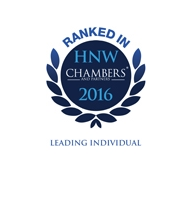 Simon qualified as a solicitor in 1983 and was senior partner at Berger Oliver until 2005. Simon joined Goodman Derrick as Partner in 2005 following the merger between Berger Oliver and Goodman Derrick. Simon was educated at Uppingham School and College of Law at Lancaster Gate. "He is completely charming, just a complete gentleman to deal with." "He is the most charming man out there." "You get him on the other side and you're fine. He is no-nonsense and gets things done." "He is a real pleasure to deal with, he is a good lawyer and a really nice man." "A standout individual renowned for his experience and knowledge of the property world." "Great fun, highly entertaining, and somebody who excels at thinking outside the box and coming up with creative solutions." In his spare time Simon likes to scuba dive, go skiing and enjoys cooking.